SAN DIEGO, March 26, 2019 /Christian Newswire/ -- A new memoir from Catholic Answers Press chronicles the wild ride of a young Jewish writer from the music clubs of New York to the Church of Rome. In Sunday Will Never Be the Same: A Rock & Roll Journalist Opens Her Ears to God, Dawn Eden Goldstein tells how her lifelong search for love, truth, and beauty ended up in the most unlikely of destinations. "There are a million 'conversion stories' out there," says Todd Aglialoro, director of publishing at Catholic Answers, "and they're all beautiful and edifying in their own way. But Dawn's story really stands out: it wasn't Bible proofs and clever arguments that led her to belief in God and communion with Catholicism, but the lived experience of trying to fill the longing in her heart." Sunday draws in readers not only to the author's spiritual quest, but also to her winsomely narrated tour through the world of 80's and 90's popular music, where Dawn's work as a rock journalist and historian brought her to the stages, dressing rooms, and mic-side barstools of some of the era's most colorful artists. "It's a fun nostalgia trip for music fans," Aglialoro adds, "and then it sneaks up and smacks your soul with the sweetness of God's saving grace—at work in the joys and even the pains of a woman's life." Dawn Eden Goldstein (The Thrill of the Chaste and My Peace I Give You) began her writing career using the pen name Dawn Eden. In the 1990s, she contributed to Billboard, the Village Voice, Mojo, and Salon, and went on to work in editorial positions at the New York Post and Daily News. After a personal transformation that led her to enter the Catholic Church, she went on to earn a doctorate in sacred theology. 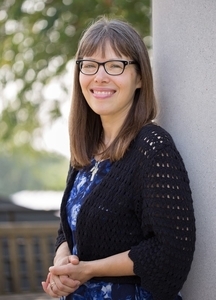 Today, she is an assistant professor of dogmatic theology for Holy Apostles College and Seminary and lives in Washington, D.C.
Catholic Answers is a media ministry that serves Christ by explaining and defending the Catholic faith. We help Catholics grow in their faith, bring former Catholics home, and lead non-Catholics into the fullness of the truth.